Q:What is your hope for this book? I'm hoping the story opens conversations between middle-aged children and their aging parents. I have a feeling there are some hidden secrets that need to be unveiled in many families. I also hope it helps people deal with the "dignity" of the elderly. How do you know when to take the keys from your parent is a big question adult children are asking, but the elderly parents are asking a different question. They want to know how to keep their children from taking away their dignity and ability to choose and live their lives fully. I hope this book fosters good conversations. Q: Tell us a little about this title, Under a Cloudless Sky. The title is actually from an old hymn titled "Dwelling in Beulah Land." I set the story on Beulah Mountain, West Virginia, which is a fictional town. The story opens with two of the main characters excited to sing that song in church and the words have rich, spiritual meaning. Q: What themes are explored in this novel? Elderly parent–child relationships, the power of secrets, trusting the wrong people, what God promises us and doesn't promise us, the power of telling the truth, how the past can affect the present and future, and the power of forgiveness. Q: You have described Under a Cloudless Sky as a "Gone Grandma" story (as opposed to Gone Girl). Without giving too much away, can you tell us a little about this unofficial subtitle? Is this book a bit of a mystery/suspense novel? Ruby is the main character and at a pivotal point in the story her daughter comes to Ruby's house and discovers she has disappeared. There are several possibilities as to where Ruby might be—all of them pretty dire. The reader has to figure out the clues and follow them along the trail. These breadcrumbs lead to a truth that Ruby's daughter would never have guessed about her mother's past. I'm hoping this "Where's Ruby?" motif will pull readers into the story and make them want to find her. Q: A key scene early in the novel involves two adult children taking the car keys away from their aging mother, insisting that she is no longer able to safely drive herself. Did an experience from your own life inform this scene? How would you advise someone dealing with this sort of situation? My own mother was in her late eighties when we had to convince her that her driving skills weren't as good as they needed to be. We could see this. She couldn't. So the trick was getting her to see what we saw and letting this decision come from her. This was a long, drawn-out process where we tried to appeal to reason, fear, and the dire consequences of an accident. We had long conversations with her. I live hundreds of miles away, so my interaction was mainly on the phone while my brother and sister-in-law had to do the day-to-day negotiation. We learned a lot in that process that I hope comes out in the novel—mistakes and victories. Q: The changing relationship between adult children and aging parents can be difficult to navigate. What practical steps (on either end) can we take to maintain or repair this bond, especially when the balance of power shifts from parent(s) to adult child(ren), as it does for some of the characters in Under a Cloudless Sky? I like the phrase "live loved." When you know someone loves you and wants the best for you, you can take the harder words or be more open to the truth. Going into the situation with a secure handle on the "love" question—for you and your parent—is important. One of the main lessons we learned was that it is paramount to give the older person the dignity of their choices. For example, my mother still lives in the home my father built in the early 1960s. (He died in 2011.) My siblings and I have had wonderful plans for her life—moving to a quaint apartment or home where she could have more interaction with others and live out her days in an idyllic setting. But she wants to be on the farm. As much as it scares us to have her there, it's the loving thing to honor her choice and help her as much as we can as she navigates life there. Q: The novel centers on the history of a mining town in West Virginia, a setting that relates to your own family's history. 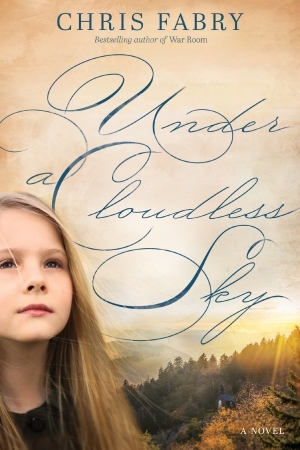 Are there any stories from your family's past that inspired you to write Under a Cloudless Sky? What about West Virginia's mining history needs to be told or remembered most today? I keep a picture on my desk of my father and his older brother sitting on the steps of the ramshackle company house where they lived in the 1920s. My grandfather came from Germany and was a coal miner and my father had a difficult childhood. My mother's father also worked closely with a coal and gas company in a town called Putney. So I have heard stories from them and from others who worked the mines about how difficult things were in the days when the company owned everything, including the workers. Fast-forward to today and you see the ravages of the land and the people. The unemployment rate has skyrocketed and many young people leave the state because there simply aren't the opportunities for work that there used to be. Appalachia is in many ways ground zero for the opioid crisis. I've tried to walk the line between bitterness and romanticism about coal and West Virginia. It's a complicated story with complex people. But I think we can learn from the past and help people move forward by telling some of these stories. Q: One of the most engaging aspects of the novel is the dual timeline, which has some chapters set in 1933 and some in 2004. Only the protagonist Ruby appears in both time periods. How did you go about writing the same character at two vastly different points in her life? I love that we can see Ruby living in a time when there was very little technology around her and lots of squalor. Then, as we fast-forward, you can see all the changes in society and the culture and how she's pretty much remained the same person. You're also able to see the importance of faith in the 1930s and how it has changed and morphed through the decades. The Ruby who sang about Beulah Land in 1933 is the same Ruby in 2004, but things around her have drastically changed. Q: Though Under a Cloudless Sky is a work of fiction, it raises questions about the accuracy of accepted history, and whether the history we are taught has been molded to fit particular interests. How does storytelling of all sorts help us obtain a fuller view of the past, whether it be the past of our state or country or the past of our own family? We're all products of our stories. Things you believed about family members growing up simply become part of you until you open yourself to the possibility that there's a different interpretation. There are things I believed about my family growing up that I see differently now, more clearly with time. This is something I hope the novel will help achieve—viewing the past through a new lens so we can see the truth instead of what we wanted to see. Q: Ruby, the main character in the novel, has a secret she has kept most of her life, and this secret drives much of the narrative, especially the drama within her family. How can keeping secrets be detrimental to family relationships? What steps can we take toward building trust and honesty, especially if we have kept a secret for a long time? This is one of the things I've noticed in doing a radio program for the past few years that's somewhat confessional. People will call the show and reveal some deep things about their past. I'll ask who they've shared this particular story with, and almost to a person they'll respond, "This is the first time I've told anyone." I'm grateful for the breakthrough, but also heartbroken that they haven't been able to share this with someone who loves them—and some of these callers are women in their sixties and seventies. I can hear the relief in their voices after they reveal whatever hard thing they tell. I believe the enemy wants to keep things bottled up inside. If he can't move us away from God, he'll tempt us with holding things inside and covering them. That's why it's so reparative to confess our sins to one another. Something spiritual happens when I trust another person with that thing that has been hidden for a lifetime. And when Ruby's secret is revealed, there are ramifications she couldn't have dreamed she would experience.  For more Q&A with Chris, download the PDF Under a Cloudless Sky Author Q&A from Tyndale House Publishers.